August 7, 2017 – Plumeria Publishing is pleased to announce the release of Romancing Through Italy, Second Edition, in hardbound and softbound format, as well as multiple eBook formats. The second edition contains additional graphics and other visual improvements, as well as minor editing and expansion of textual content. 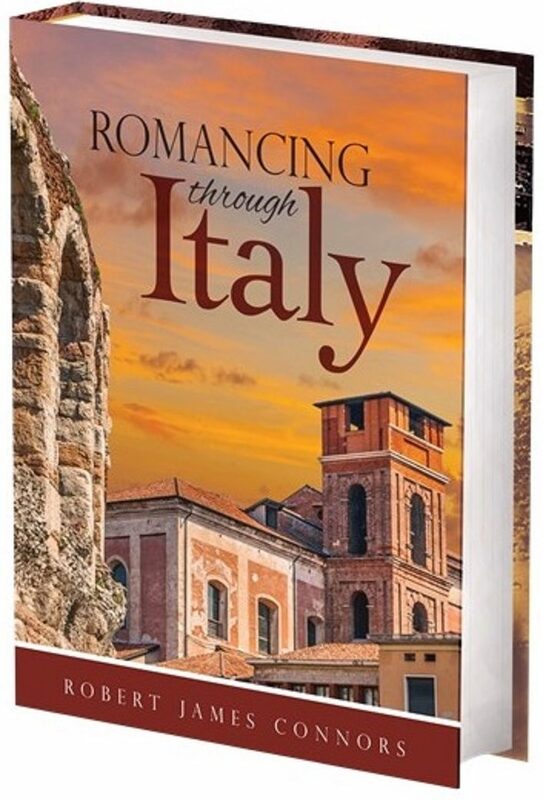 The successful launch of Romancing Through Italy has resulted in an contract for a second edition to be published through Plumeria Publishing, a young publishing company specializing in Florida authors. The new edition will include some new content and graphics, and should reach book markets in early August. Several dozen readers attended Friday evening for a book-launch event hosted by author Robert James Connors for his new book, Romancing Through Italy.